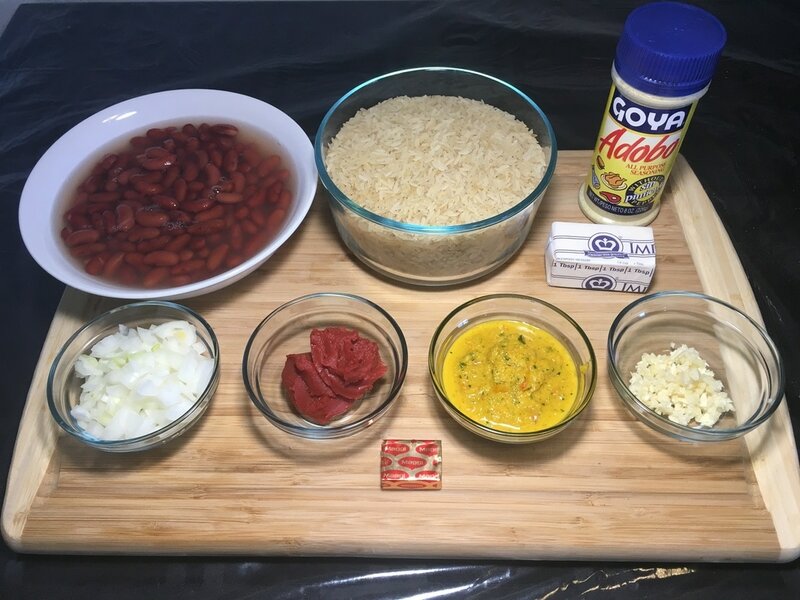 In a previous recipe of rice and beans, I used dry beans in the recipe. 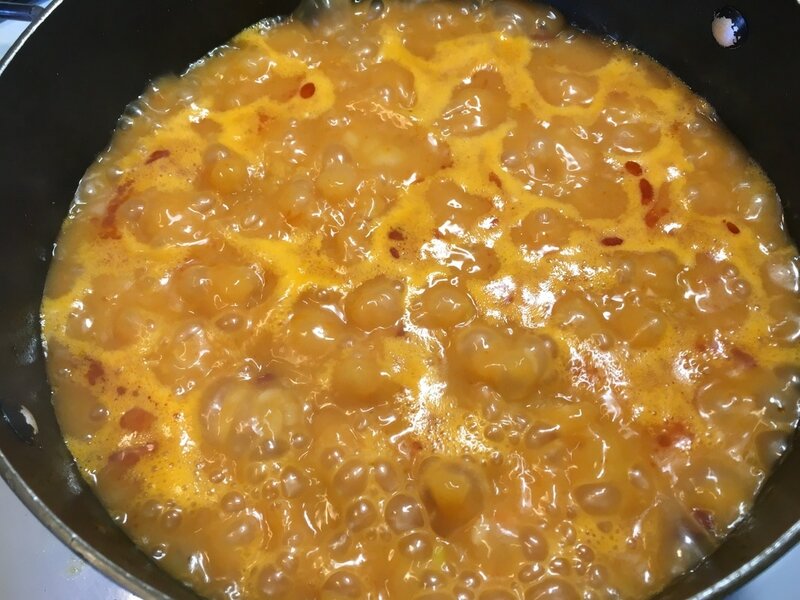 Using dry beans take an extended amount of time because of waiting for the beans to cook and become tender. Although fresh is always best, we tend to prefer convenience. 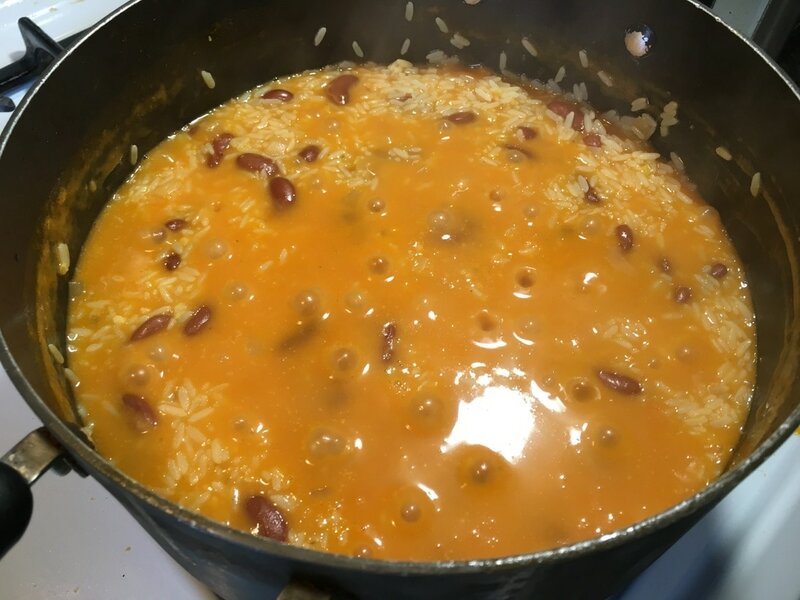 I actually use canned beans the majority of times if I make rice and beans. It turns out just as great for less than 1/2 the time. The main thing that's different about this in comparison to using dry beans is the color. 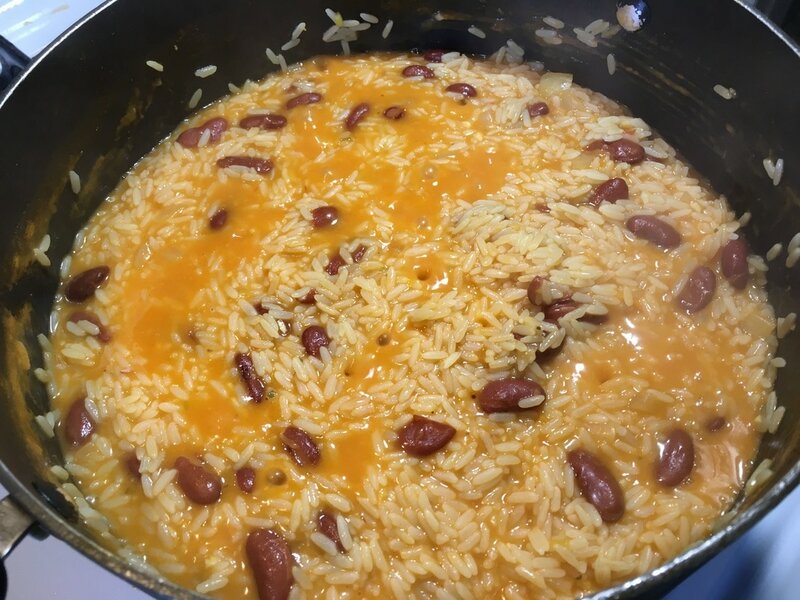 The rice will end up taking a lighter shade using canned beans than dry beans. 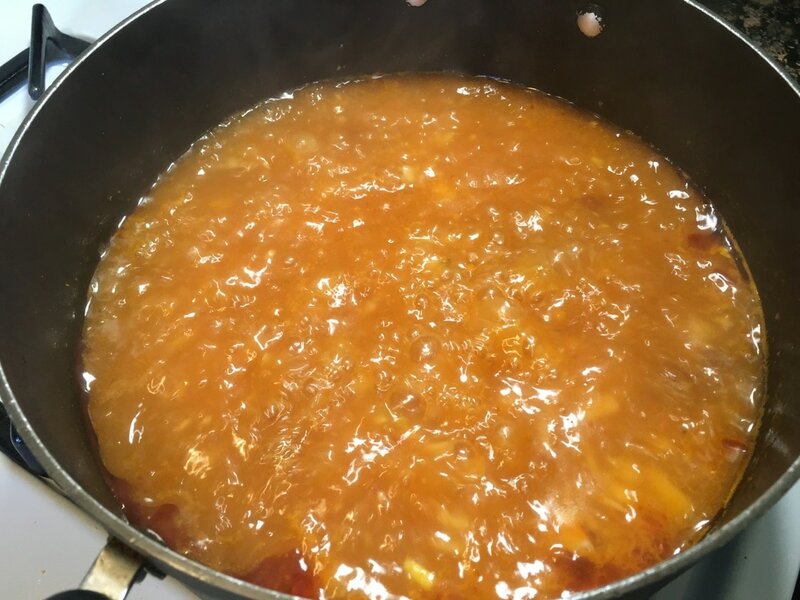 That's because when we use the dry beans, the liquid used in the rice is the same liquid that the beans boiled in, darkening the color. 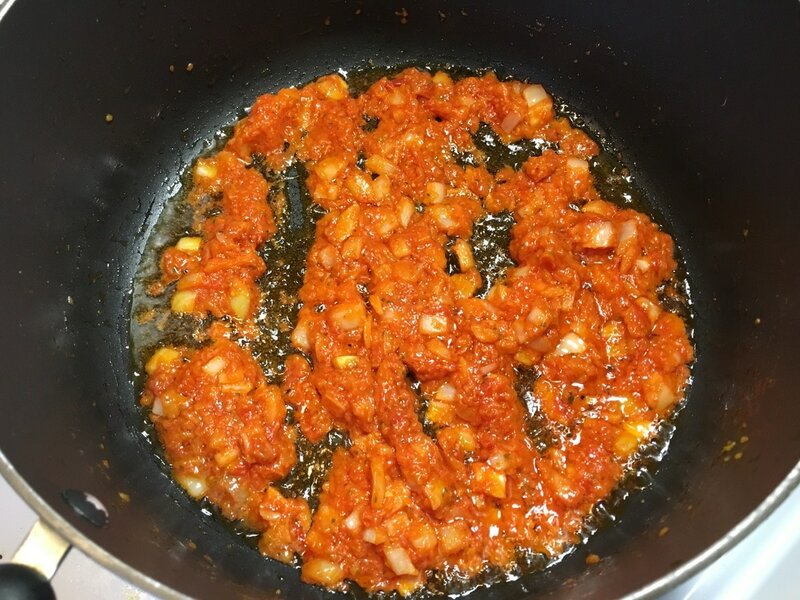 In this version, most of the color comes from the tomato paste used. 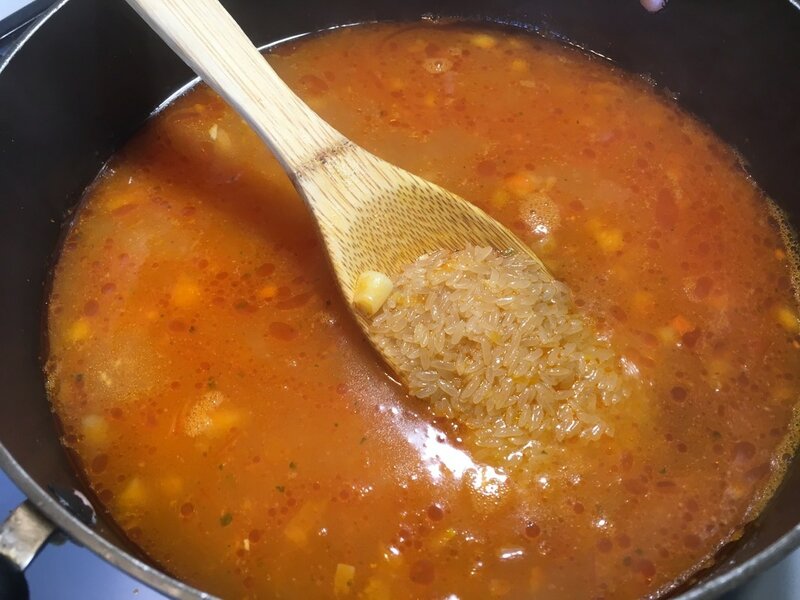 I use parboiled rice in this demonstration but Jasmine rice is just as great. If using jasmine rice, be sure to cut down the amount of water to about 4 - 5 cups and reduce the cooking time to about 20 minutes. 1. Drain the can of beans and reserve the liquid. 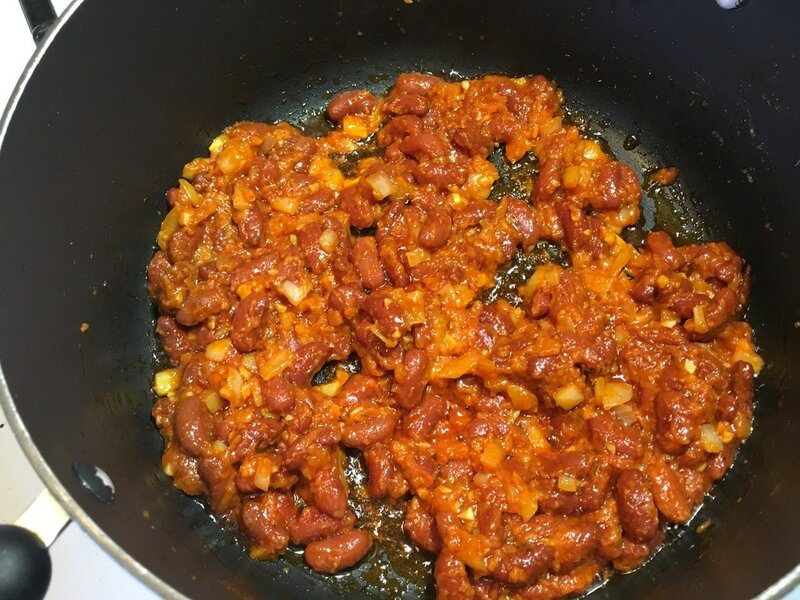 Beans that are best for diriz kole ak pwa include pinto or kidney beans. 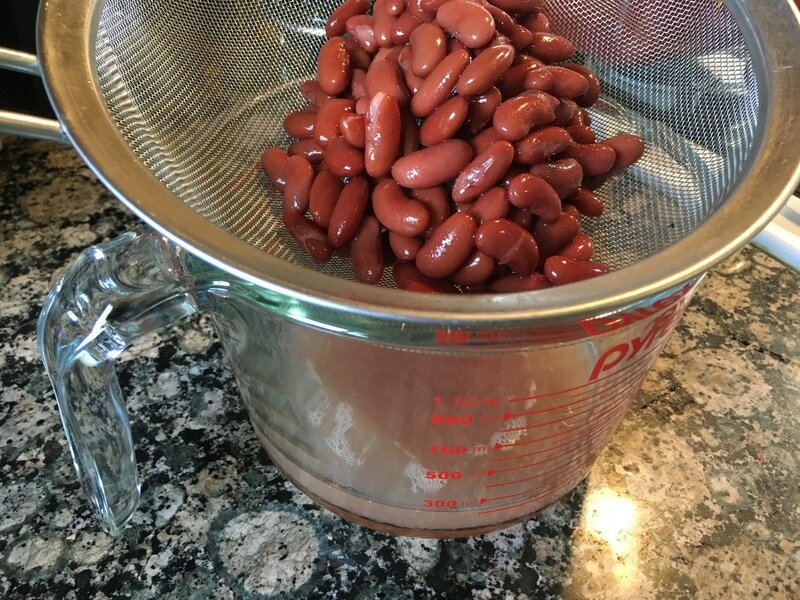 I am using light red kidney beans in this particular demonstration. ​2. In a pot on high heat, add 4 tbsps. oil, 1 small, finely diced onion, 2 tbsps. of tomato paste and 3 tbsps. of epis. 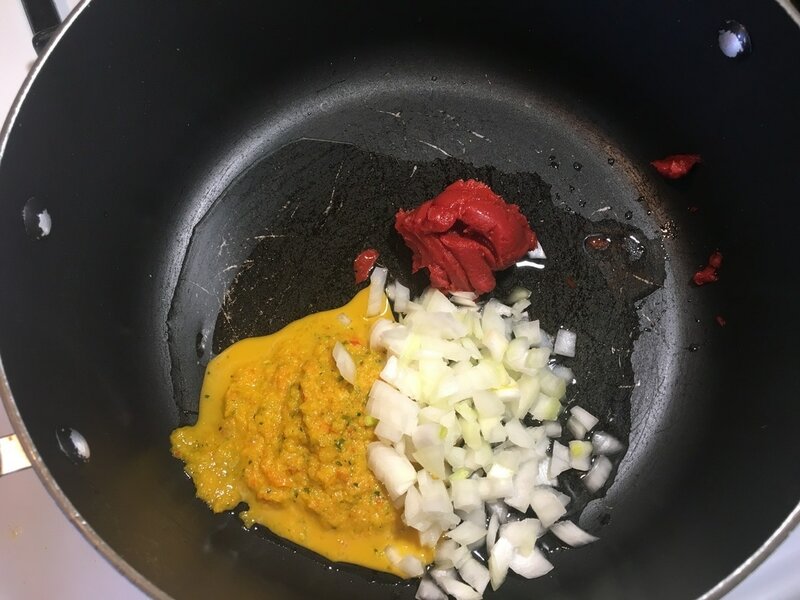 Stir ingredients well and sauté for about 1 – 2 minutes. ​3. 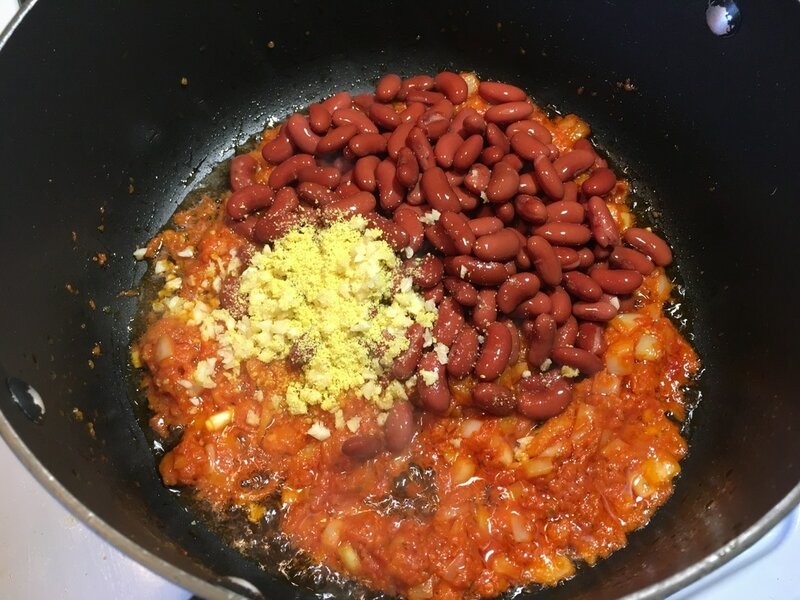 Add in the beans of your choosing, minced garlic and 1 crushed Maggie. Stir and mix contents well. (You also have the option of dissolving the Maggie cube in a little bit of water before adding it to the pot.) 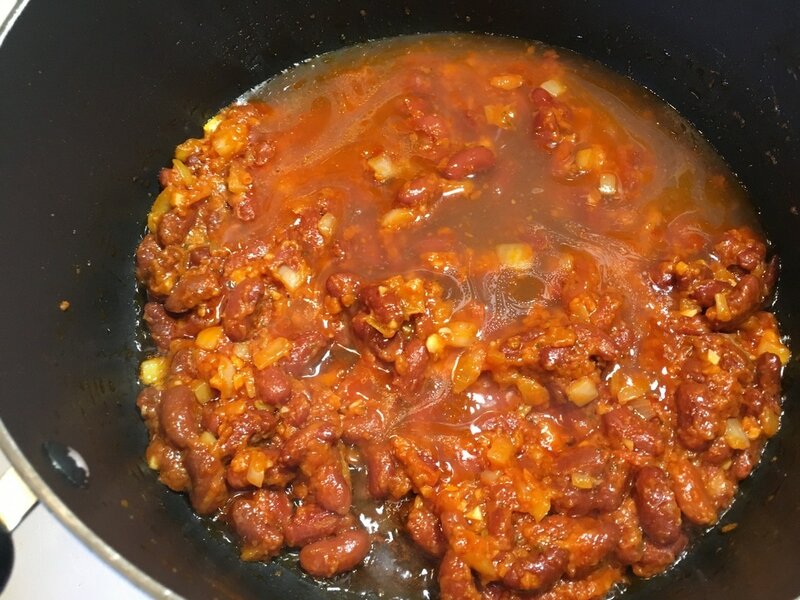 Sauté for an additional 2 – 3 minutes stirring occasionally to keep the beans from sticking to the bottom of the pot. ​4. Pour in the reserved liquid from the can. Then, pour 5 – 6 cups of water into the pot (depending on your preference for the tenderness of the rice). Stir contents, cover the pot with its lid and allow it to come to a roaring boil. ​5. Add 3 cups of parboiled rice to the boiling liquid and stir contents. Allow it to return to a boil, uncovered. Sample the liquid and if desired, add 1 tsp. of Adobo or to taste and/or salt to taste. In this step, I also added ¼ tsp. of Maggie liquid. This is a concentrated form of liquid seasoning that has it’s own distinctive flavor. A few splashes of this goes a very long way. This is optional but it’s always nice to try it. ​6. 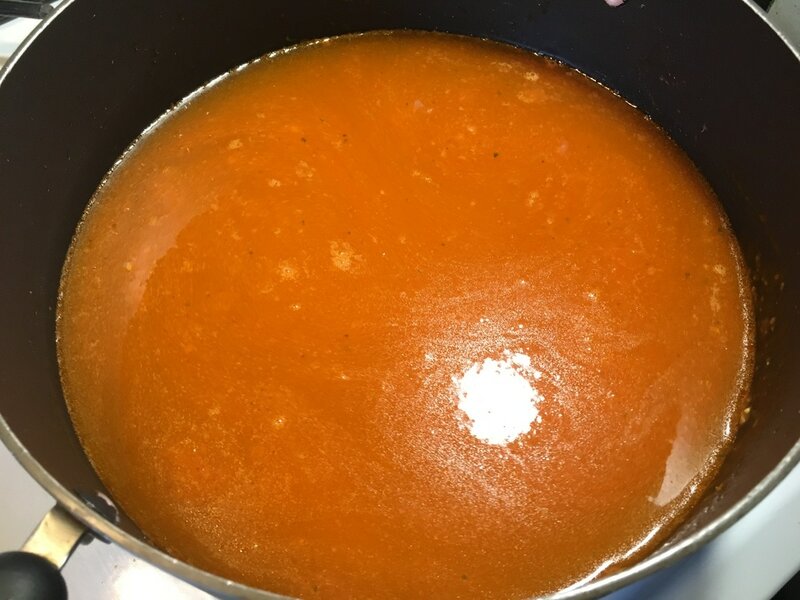 Continue to allow the liquid to boil as it reduces, stirring occasionally. You will notice that it will take much longer to reduce in comparison to jasmine rice. When it reduces close to the level of the rice, stir in 4 tbsps. of butter. 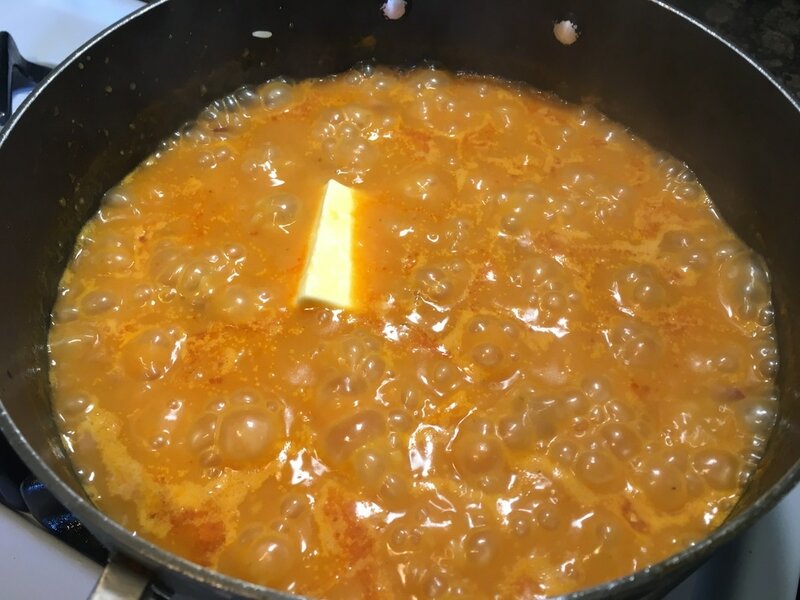 Continue to stir occasionally as the liquid further reduces and the butter fully incorporates. ​7. When the liquid reaches the level of the rice, turn down the heat to about 2 - 3 notches above the lowest setting. Cover the pot with its lid and allow the rice to steam for about 25 - 30 minutes. Turn off the heat and let it sit for an additional 5 minutes.